My rating: 9/10. Great watch. Eco-Drive tech & extremely accurate atomic timekeeping. Hello, today I’m doing a Citizen AT9010-52L review. If you’re after a highly accurate watch, then a radio controlled watch that syncs up to an atomic clock is something you should be taking a look at. 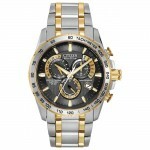 This model from Citizen is extremely accurate and features Citizen’s popular Eco-Drive technology. I hope you enjoy this Citizen AT9010-52L review below. 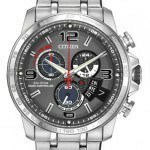 Citizen has a great selection of these radio controlled watches that are all honestly well worth checking out. These work by automatically synchronising with an atomic clock via radio waves to make the watch accurate to within one second every 100,000 years. These are perfect for people who travel as you can quickly and easily update your time zone whenever you travel. You can see why they would be so popular. This model has a really interestingly set out dial and I love this use of yellow detailing they’ve gone for to bring that splash of colour to the design. You have a day and date display available, the day of the week is showcased in the top sub dial whilst the day is in the standard 3 o’clock position. Everything is set out in a very easy to read, bold fashion. The watch hands are coated in a high-quality lume which makes them easier to read in dim lit conditions. The watch is also packed with some useful extra features. These include a dual time display system, world time display, alarm, power reserve indicator, and a perpetual calendar. A perpetual calendar automatically adjusts itself for the varying amount of days in each month, saving you the hassle of adjusting it yourself. Perpetual calendars are a feature I’m quite fond of in watches. Protecting the dial we have an impressive sapphire glass that has an anti-reflective coating. Sapphire glass has a Moh’s hardness rating of 9 giving you a very impressive level of scratch resistance. This is something you find in a lot of higher end luxury watches. The anti-reflective coating is a great addition as it reduces the level of glare you would get on the glass. 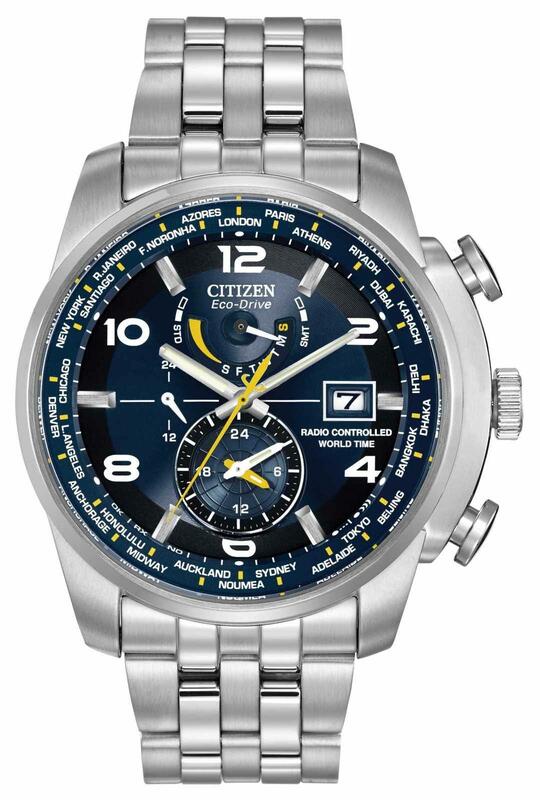 The watch features Citizen’s Eco-Drive technology, this has been so popular for them that it’s now found in the majority of their watches. The Eco-Drive tech means the watch can be powered by light, be it natural or artificial and it never requires a battery. Taking a look at the size we find the casing diameter is 43mm whilst the thickness is 13mm. This gives the watch a nice large, bold finish. It’s not ridiculously oversized, but it has a nice bit of chunkiness to it. As for the strap, it’s made of stainless steel and has a width of 22mm that’s in keeping with the rest of the watch sizing. The strap fastens with a push release fold over clasp. Personally, I find these clasps much easier to operate than a standard fold over clasp. To top things off the watch has an impressive 200m water resistance rating. This makes the watch suitable for professional marine activity, serious surface water sports and skin diving. Band Stainless steel strap, standard length, 22mm width, push button release style clasp. Case Stainless steel casing, sizing diameter: 43mm and thickness: 13mm. Dial Analogue display. The window lens is made of sapphire glass, highest level of scratch resistance and has an anti-reflective coating. Movement Highly accurate Quartz movement with radio controlled atomic timekeeping. Extremely accurate to within 1 second over 100,000 years. The Citizen AT9010-52L is an extremely accurate, great looking watch that really does give you some very good value for money. I was impressed to see the sapphire glass as I wasn’t expecting it to be honest. Overall, getting a watch with Eco-Drive technology, sapphire glass, and atomic timekeeping for this price you have to be pleased. After looking into the watch design, quality, features, and pricing this watch received an 9/10 from us at The Watch Blog. 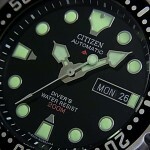 Hope you enjoyed this Citizen AT9010-52L review. Find more watch reviews below.